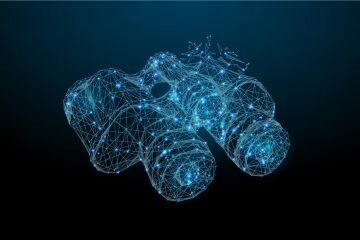 Increasingly, businesses are asked to “connect the dots” — gathering information from disparate sources, making sense of it, and delivering the information needed to effectively respond. 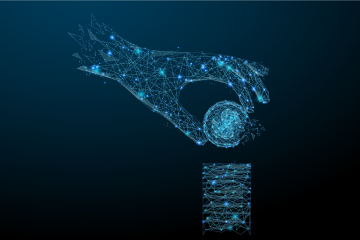 To the customer, this would seem obvious and straight-forward, but to business units dealing with increasing complexity (parts, schedules, locations, products, and external factors) within compressed timelines for meeting demand, it is a significant challenge. Further, client’s customers are accustomed to purchasing anything from the world marketplace any day of the week, at any hour of the day. They expect the same on-demand, readily available services that cater to their needs in a personalizable way. These problems will not be solved accidentally, randomly, or organically. Solutions must be designed to meet the expected outcomes, i.e. they must be architected with the ends in mind. The discipline of Enterprise Architecture (EA) provides an essential framework, process, and guidelines to put those solutions in place. EA looks at the business from multiple viewpoints. The businesses you are in and the services you provide. The information needed to deliver business services. The technology required to manage information and automate services. Dynamic and Progressive businesses often are advancing their strategy, transforming and striving to operate effectively with optimal costs structure. The Ascend is called up on , more often than not, to increase client’s profitable growth and gain competitive advantage. Having been in the business since 2005, The Ascend primarily focuses on technology strategy and delivery solutions with keen focus on delivering Pragmatic Insights and Predictable OutcomesTM, using Enterprise Architecture (EA) as a tool, and advancing Digital Enablement and Business Analytics outcomes. . The firm uses EA as a guiding principle and strategy to enable pre-merger due diligence, post-merger integration, as well as event-driven solutions. If companies might go through an IPO or need to split or diversify, these events can be effectively managed using Enterprise Architecture. The goal of the EA process is to delineate the relationships between these elements and make sure they are aligned to produce the desired results. Business Architecture provides a way to systematically capture the thousands of relationships (that currently exist in hundreds of places, including people’s heads) so the business can reliably navigate change (regardless of scale and complexity). This ability to model relationships using capabilities to align strategy and operations provides the “glue” to guide decisions used to prioritize and respond to change (internal and external). These responses to change come in the form of initiatives (outcome driven) upon which solutions are designed and implemented using a collaborative application of architecture disciplines to improve technical service delivery to balance the short-term needs for operational excellence (business and functional service delivery) and long term needs as expressed through strategy. “When I talk to a CIO or a CTO, I talk about three things: Portfolio management for technology, IT governance, and Enterprise Architecture as a tool to govern portfolio management,” says Sri Navalpakkam, Managing Partner at The Ascend. Focusing on the private sector, The Ascend has formulated a proven and repeatable EA toolkit that has been successfully implemented across industries and across several M&A/.turnaround/Split events to effectively instrument and manage change. Used in life sciences, healthcare, retail, financial services/banking, as well as consumer-based subscription companies (such in Telecom/Cable/Direct to Consumer models), the toolkit has driven business outcomes in M&A situations while also driving all aspects of people, process, technology, and with an effective operational governance model. The Ascend’s Enterprise Architecture practice along with an industry-leading Business Architecture execution framework compliments and advances two core tenets, the first is digital transformation, where business processes that have been very cumbersome or through manual input are digitized, allowing for quicker time to market while also attaining customer obsession, empowering client’s loyal customers with ‘right sized’ interactions and increasing customer lifetime value (CLV). The second is Business Analytics, where user data collected from continually various sources, including social media and smartphones is analyzed for real-time insights that are often deployed into customer’s business processes. 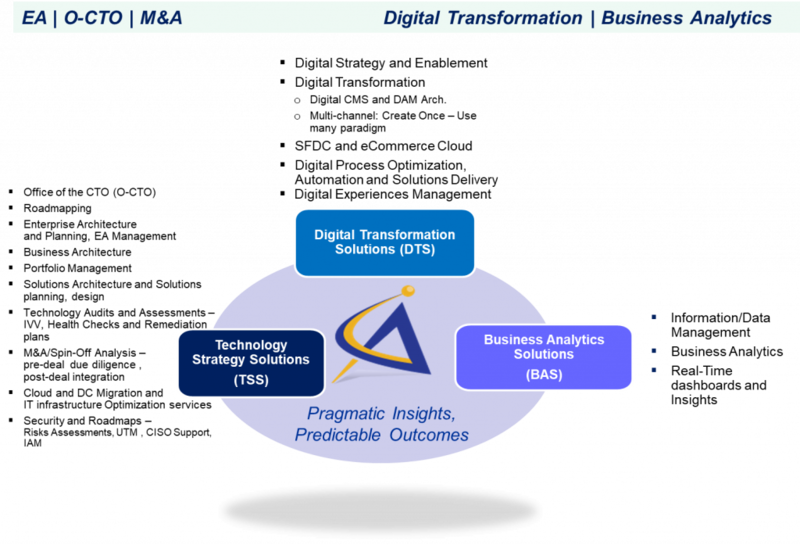 While EA is a part of the technology strategy solutions practice, the complementarity with Digital Transformation Solutions (DTS) practice and Business Analytics Solutions (BAS) drives more symbiotic business value. These three practices allow client companies to become predictive and digital enterprises. When companies hire The Ascend, typically we conduct a current state assessment, future state definition and a launch-sequenced pragmatic roadmap. The journey roadmap includes actionable recommendations and an implementation plan, typically executed in Agile 30-60-90 day iterative cycles over a period of 18 months or two+ years, ensuring that the value is imminent, measured, visible and cumulative. In one instance, a private equity company that was looking to revamp their technology portfolio brought in The Ascend, who came up with a roadmap by examining the company’s portfolio from a business process and technology standpoint. “Successfully delivering using their EA toolkit, we helped the company modernize their technology portfolio while optimizing their internal IT teams” – says Navalpakkam. Being a product company that delivered solutions to banks and financial institutions, The Ascend removed costing from their operations, improved margins, helped them innovate and create new sources of revenue. The firm was then sold to another PE investor with a return of 10x EBITDA multiple. The Ascend’s work with clients collaboratively to create ‘win themes’ to maximize returns and value. The ‘Win themes,’ are unique solutions to every client, and every client’s situation. When complete, The Ascend leaves the value-added assets, allowing them to elaborate and build up on, as necessary. Based out of Chicagoland, Illinois, The Ascend has an high-performance offshore delivery team in India, where they continue to expand, and a regional office in Singapore, for expansion into the Southeast Asian markets.